Creating jewellery is an art. Appreciating its sheer beauty and precision is just as much an art form. You need to be in the right surroundings and be guided by long experience and fine judgement. Russell Lane Jewellery of Warwick offers just such a haven. Located in the shadow of the country's greatest medieval castle, we have now been serving our customers for nearly 40 years. Whether advising on the best gem setting or recommending the ideal investment - whether purchasing quality pieces for resale or restoring cherished keepsakes, we have but one approach. To provide you with a traditional shopping comfort and a commitment to good old customer service. At Russell Lane, we understand the importance of providing a considerate, personalised service. Get in touch with us soon for the very best customer experience in the business. We look forward to meeting you. 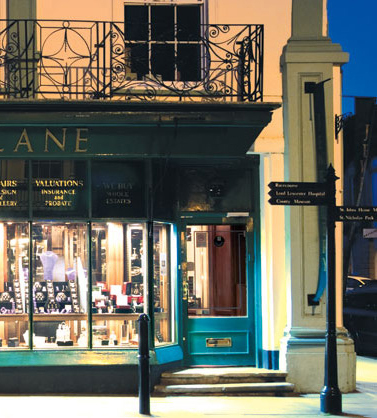 Visit Russell Lane to encounter the pure art of jewellery.